Some companies, most famously Google Inc., are seeing the future of wearable tech in eyewear devices. Toshiba Corp. is looking in the same direction, but based on a prototype recently unveiled at CEATEC, the company is taking a slightly more conventional approach to wearable tech. While other eyewear tech, including Google Glass, have futuristic designs, Toshiba is banking on more traditional designs so that users feel more comfortable wearing them. 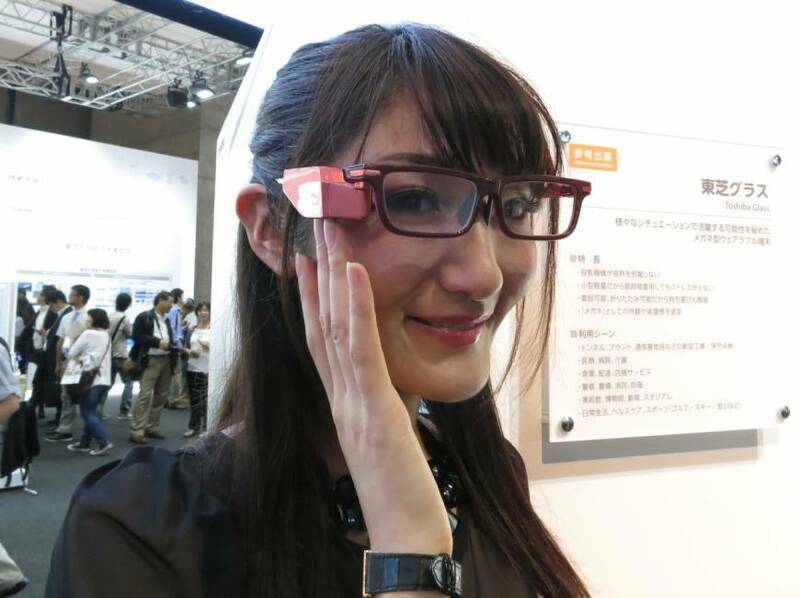 Yoshiyuki Kokojima, senior research scientist at Toshiba’s research and development center, said while it is true that new products often come with new interfaces, people probably feel more at ease when facing someone with conventional glasses rather than techy ones. Unlike other glasses-type wearables, which feature a device in front of the lens, the hardware of Toshiba Glass is positioned less obtrusively to the side of the right lens. The Toshiba Glass device itself is a mini-projection system using small prisms. At CEATEC the firm demoed it projecting information — such as weather forecasts, recipe ingredients or step-by-step manuals — into the user’s field of vision. Toshiba Glass is quite light and does not feel that different from conventional glasses. 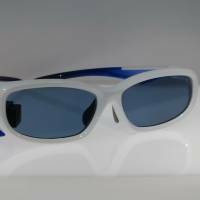 Toshiba appears to be focusing on the corporate market and aims to make the glasses available for business use in fiscal 2015. The firm said it will add modifications depending on customers’ needs. For instance, the glasses used in the CEATEC demonstration are connected to gadgets by cables, but they can also operate wirelessly if needed, Toshiba said. Also, the glasses at CEATEC do not have a camera, but Toshiba said one can be attached, although that might make them bulky and destroy the aesthetics of traditional design. 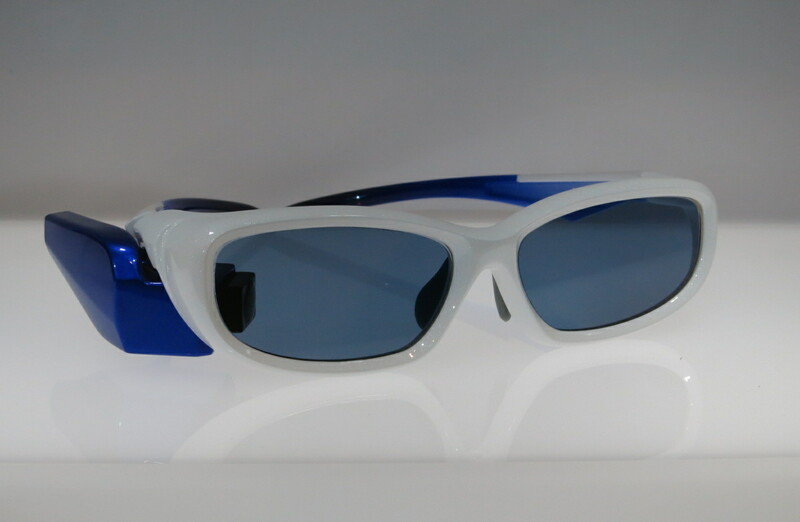 Toshiba Glass, which was displayed with various frame styles, was jointly created by Osaka-based Yamamoto Kogaku Co., which makes glasses under the Swans brand. 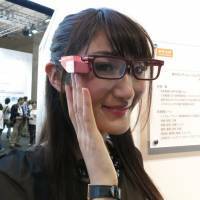 Since the projection requires a special lens, Toshiba said it will not be possible to detach the small projection device and attach to ordinary glasses. As for possible industries where it might be used, Toshiba cited the fields of security, health care and maintenance inspection. The firm said it will consider selling the glasses to consumers if opportunities arise.